It is loaded with cancer fighting antioxidants, improves metabolism and helps ward off common illnesses. According to the University of Maryland Medical Center, green tea contains a high concentration of antioxidants called polyphenols. These help protect your cells from free radical damage preventing chronic health problems. Green tea also helps in the aesthetic department by preventing hair loss and aiding in weight loss. 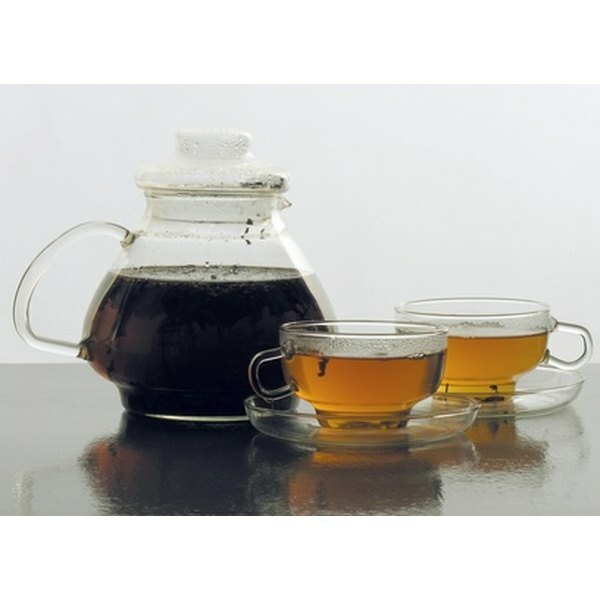 According to BenefitsOfGreenTea.org, green tea is helpful with combating scalp conditions like dandruff and psoriasis. It has skin soothing properties and reduces inflammation of scalp skin. This can work internally or externally. Try using a shampoo with green tea extract or a green tea rinse after washing your hair. This can aid in the reduction of scalp irritation. Along with potent antioxidants, green tea also contains vitamins C, E and panthenol. These are standards hair conditioning ingredients. Vitamin E restores dry, brittle hair and vitamin C protects hair and scalp against damage caused UVA and UVB rays. Panthenol strengthens, softens hair and prevents breakage. Antioxidants and flavanoids in green tea fight off cell-damaging free radicals. They also lower triglycerides and LDL, or "bad," cholesterol while raising HDL, or "good," cholesterol, factors that help prevent heart disease. According to The University of Maryland Medical Center, the consuming three cups of tea per day decreases the chance of heart attack by 11 percent. Research studies have concluded that green tea extracts can aid in weight loss for those who are moderately obese. Creighton University Medical Center states that catechins found in green tea help boost metabolism increasing energy expenditure. Brewed green tea provides a lower level of catechins needed to see this effect, so it is essential to supplement your diet with a concentrated green tea extract. Ask your health care practitioner before beginning this or any other weight loss regimen.